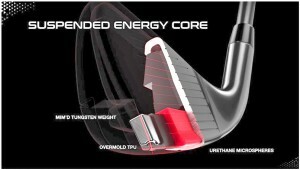 The Suspend ed Energy Core consists of a tungsten weight that is different for each iron loft iron. 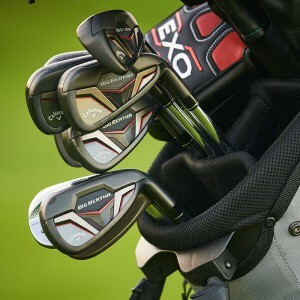 The type of tungsten Callaway uses is very dense, about 2 ½ times that of steel, and cannot be welded to steel versus the tungsten used by most manufacturers which is only 50% denser. 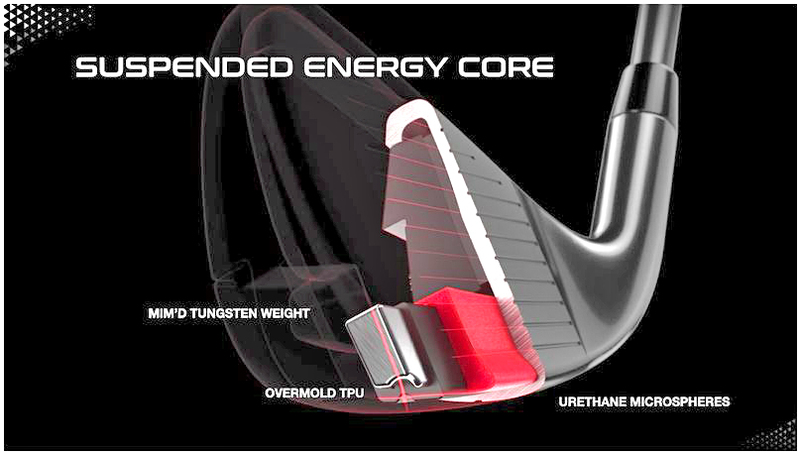 Because of the type of tungsten, the weight is wrapped in a TPU (thermoplastic polyurethane) sleeve before inserting it in the iron’s cavity. Then a liquid containing lightweight urethane microspheres is injected into the hollow part of the head and it holds everything in place after it hardens. 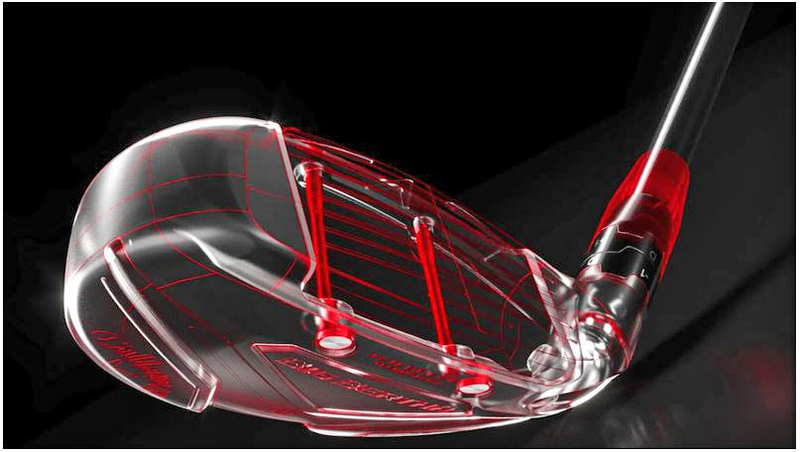 The microspheres allow for compression when the clubface deflects meeting the ball as well as acting as a vibration dampener to improve feel. 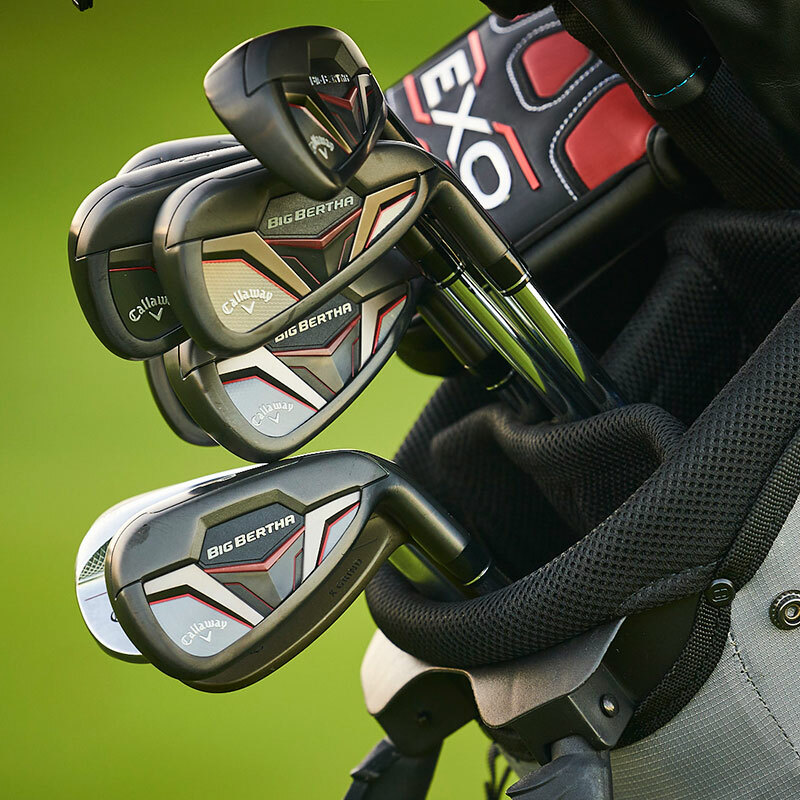 Jailbreak is Callaway’s uniq ue system of rods behind the face running from crown to sole used originally in the Epic 2017 driver and now the top selling Rogue 2018 driver. The rods have the effect of stiffening the crown meaning it doesn’t deform as much at impact. Energy otherwise lost in this change of crown shape can go into the ball to produce more yardage.